Yes, sometimes the simple answers are the right ones. This also goes with parenting tools and insights. The most powerful thing a parent can do is to love. Most of us know this. At least deep inside us we do. But do we practice loving consciously? If not, why not? 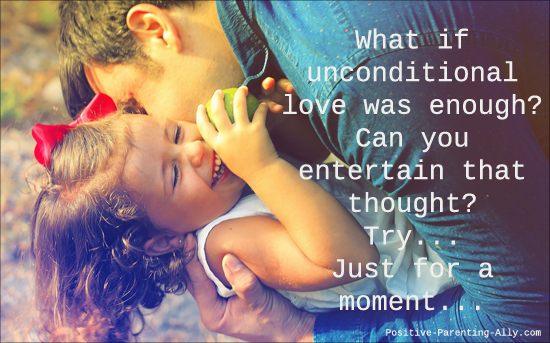 But what if unconditional love was enough? Can you entertain that thought? Try. Just for a moment. Close your eyes and stay with that thought for a bit. Then open your eyes. What did you experience? If you have just the smallest "yes" or hesitant "maybe" coming up, I really encourage you to read this parenting article, as it may move you more towards love ... if you wish it so. Have you ever tried reading something that touched your beingness more than your mind? By that I mean something which moved your sense of self to an empowering place that felt very true to who really are? Some people can do that with very few words. They somehow manage to speak from a place of total love and acceptance, which seems to draw you into that place inside yourself, too. If you're open, it's irresistible. You'll feel a pull. Kylie Riordan can do that. This is why I noticed her. Her words work like a form of meditation. They speak to who you are beyond your mind. And there is really nothing complicated about her messages. In fact her parenting tools are so simple that paradoxically they become mindboggling. Thus there is really no reason to involve your mind too much when reading her words. The best you can do is to just relax and discover for yourself how her words on parenting affect you. What is parenting really all about? Is it possible to parent without a parenting style? If yes, how? How do we parent authentically and how do we know that we're on the right track? In which ways are children often wiser than adults and what is it children can teach us? 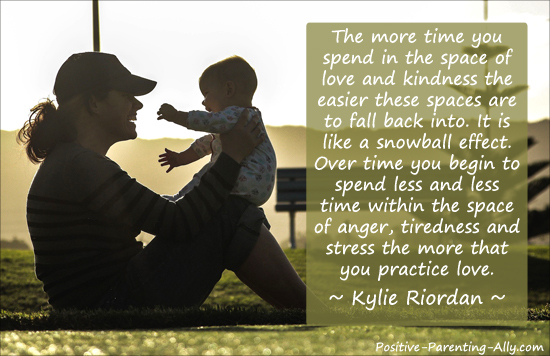 How do we become more loving and kind in our parenting and why does it get easier with practice? How does love work and what are the difference between different types of love and why is it important to be aware of that? What you will notice about Kylie's answers is that they are very, very simple. They seem to come uncensored from her intuition or heart rather than just her mind. This makes them so easy to understand. No complicated parenting tools or techniques, just a few very simple principles. 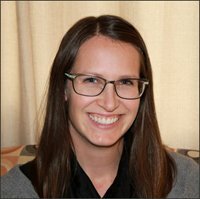 But before diving into the interview, here is a small introduction of Kylie Riordan. 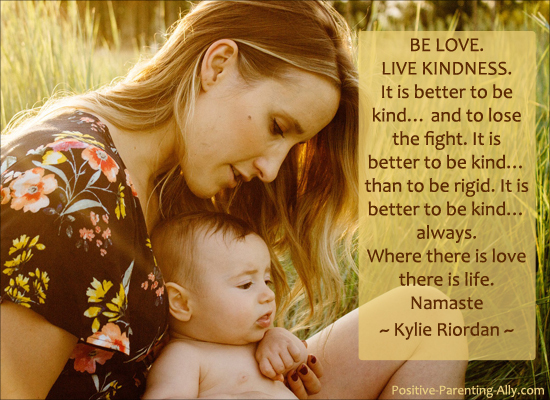 Kylie Riordan is a healer, writer, mother, and a kindness catalyst. Kylie is currently writing her first non-fiction book about accessing soul wisdom and how this wisdom can lead to authentic happiness and joy. 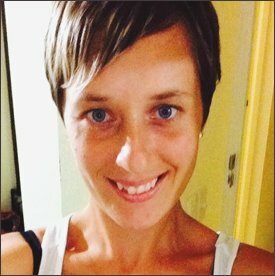 She is currently studying Clinical Hypnotherapy/Psychotherapy and Education support and currently works in Catholic Education as Education support officer. Kylie has a beautiful blog where she writes inspiring and uplifting posts about various subjects that she is currently learning about. She sees herself as an eager student of life and when she learns something of deep value, she is eager to pass it on. All the subjects that she is 'studying' are the qualities of being we all more or less consciously desire such as unconditional love, gratitude, authenticity, kindness and presence. 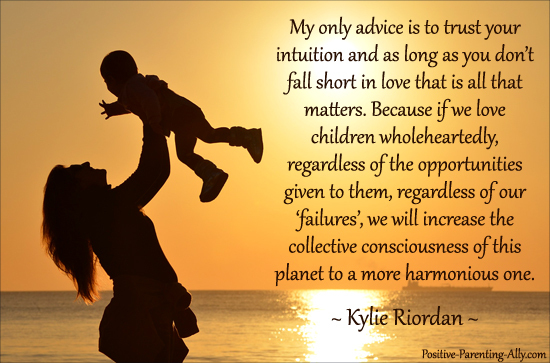 I first noticed Kylie on Twitter and found her tweets so consistently fuelled by love and wisdom that I thought, I wonder if she can 'translate' those insights into some inspiring parenting tools? 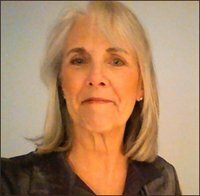 So I simply contacted her and fortunately for me and you, my dear readers, she is in fact very passionate about conscious parenting and raising loving and compassionate children. So without any further ado, I now present the parenting interview with Kylie Riordan. I think I'm going to start as 'high up' as I can get while still remaining within the topic of parenting. I'm so curious about how your overall mindset works, so I'm going to start this interview with a very open and seemingly basic question. What is parenting? 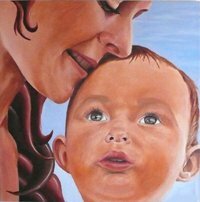 To me parenting is the guiding and nurturing of children, physically, mentally, spiritually and emotionally. It is about providing children with coping mechanisms to deal with life’s hardship and enabling them with the vision to see the blessings that exist around them, even in the face of adversity. Parenting is about showing children how to be virtuous, by leading by example. Mostly parenting is about loving the child unconditionally and making sure that they grow in love. Raising children is a huge responsibility, one I don’t take lightly. Parents are bombarded with loads of information from parenting experts about how to parent children and they will always fall short somewhere. My only advice is to trust your intuition and as long as you don’t fall short in love that is all that matters. Because if we love children wholeheartedly, regardless of the opportunities given to them, regardless of our ‘failures’, we will increase the collective consciousness of this planet to a more harmonious one. If we provide a foundation that is built on love and kindness, we are raising children that turn into adults we would be friends with. If you were to characterize your parenting approach or parenting tools, how would you describe them? What is important to you, what do you focus on? I am going to be honest I don’t follow any of the parenting trends or styles. I follow my heart. When it comes to parenting I only have one rule and that is to love. To love my children with every breath that I take, to show my children that success lies in the kindness that they spread and in the love that they give to the world. I focus on joy a lot, I struggle on the days I have be an ‘adult’, my biggest fear is that my children will grow up and realize that I am not a big kid and I am going to have do more ‘adulting’. 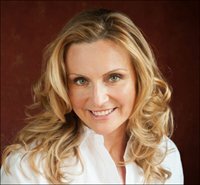 What is authenticity to you and how does it relate to being a parent? Authenticity is about being true to myself, it is about following the call of my soul. The very essence of my soul is an ineffable love. To be Authentic in parenting would require using that love essence as my guiding force, which is what I try to do every day, although I am human I often make mistakes or as I like to term them, learning curves. I still aim to use love as my guiding force in every moment and to remain gentle with myself when I make mistakes. On your blog you write very passionately about authenticity and mention something about not being afraid to deviate from the norm. How has this (if it has) come about in your parenting? In which ways have you had to 'stand by yourself' to be true to yourself - if you have had to do that? What were your challenges and what did you end up choosing and why? I don’t ever really feel like I have to stand by myself. I think the problem is that if we don’t follow a set of societal norms, we think there is something wrong with us as parents. 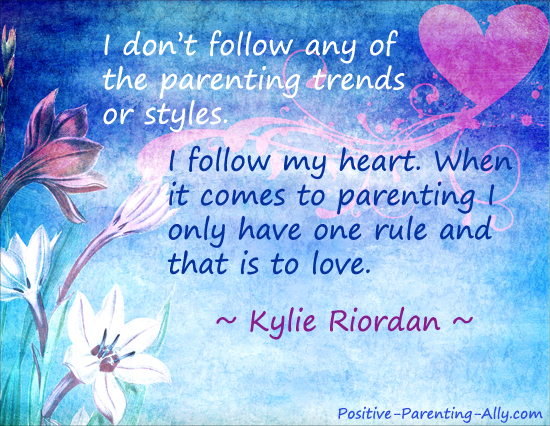 I have noticed a trend in parenting that is very judgmental towards parents who don’t follow a certain trend etc. The truth is if we are parenting authentically, the way our soul yearns for us to do, it only ever feels natural, you never feel alone, you work in collaboration and in sync with your children and you know with clarity that you no longer need outside validation to say that you are a good parent. Authenticity feels good. What is authentic to me may not be for another parent, this leaves little room for judgment. Who or 'what' are your children? Who or 'what' are you in relation to your children? My children are beautiful souls and I am lucky enough to get to play a big part in their human experience. I am the soul they chose to guide them in this lifetime. When I think about that I can't express how truly blessed I feel I am. Are there any differences between relations between adults and relations between adults and children? I find it easier to talk to children. Children are just beautiful. 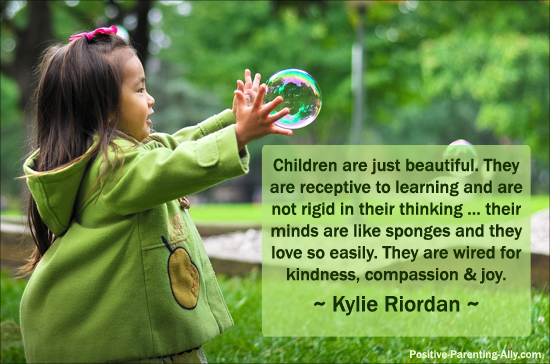 They are receptive to learning and are not rigid in their thinking … their minds are like sponges and they love so easily. They are wired for kindness, compassion & joy. 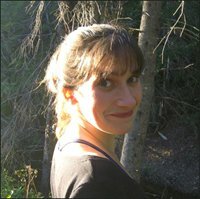 Adults I find have a lot more rigidness to their thinking, they have seen pain and have all experienced a version of heartache that is unique to them. So often it is more difficult in relationships with adults because they put walls up, can often be judgmental etc. To sum up, at a soul level we are all the same and should be treated the same. Children should be treated with respect, should be given opportunities and decision to make regarding how their life should be and we should be kinder in our interaction with adults, more joyful and less judgmental. Somewhere on your blog you say "Children inherently are closer to their soul than adults." What does this mean? And if this is so, how can we learn from children (how do we put ourselves in the right state of mind or heart) and what is there to learn? What is it they have that we may have outgrown? Children are inherently closer to their soul. They still exhibit the childlike wonder of joy and happiness. They have complete faith in their abilities and they don’t see the imperfections and judgments that come so easily to adults. Children have greater access to their soul wisdom; they understand that stillness and fun are essential to happiness. Once we become adults it no longer is about being in the moment. We are constantly looking for the next promotion, the next house, and the next car. We often work so much and push ourselves so much that we get burnt out and have no time for play. Children only understand the language of play. To them why would you want to work when playing is so much more fun. The truth is, they are on to something and we can learn a thing or two from them. Both on your Twitter account and on your blog the subjects of love and kindness seem to be very important to you. What is it you've learned about love and kindness that makes them so important to you? I have spent a lot of my life studying spirituality, topics like how to meditate; read auras, prayer, yoga and everything you could possibly imagine within the spirituality field. Years and years of spiritual development (over 20 years) never helped me to feel truly happy, to feel that ultimate connection. One day I had a aha moment and the realization that to be truly happy, the authentic kind that makes your heart sing with joy, you need to live real human virtues of kindness, love, grace, forgiveness and tolerance. In an instant I had a deep knowing. It was no longer about how beautiful my aura was, it was about how much I can spread kindness and love. Then it became about teaching others the very thing I had been searching for. I now understand to be truly spiritual you need to live and breathe compassion, empathy, kindness and love. I have a peace now that no amount of meditation or prayer has ever done. Don’t get me wrong these are both important, but to feel the connection that you think you need, you need to connect on a very human level. We are already spiritual beings. We have come to earth to learn to be good humans. Do you see a difference between your perception of love and the typical cultural one you experience around you and in the world in general? If yes, what's the difference and what is so compelling about the way you have come view it? Yes I do see I difference. Often when I talk about love, people assume that I am talking about their perception of romantic love, the love that they see in movies etc. This is not the love that I am talking about, although that love is beautiful also. When I am talking about love I am talking about divine love, our very soul essence, what shapes us, our inherent guiding light, pure love, what we are all created from is unconditional and requires nothing from us. It contrasts a bit in comparison to romantic love which culturally requires something from us, faithfulness etc. I think most parents today would agree that the most important things in parenting are love and kindness. Things just seem to go more smoothly and effortlessly when we love and are kind. All this is very well, but what do we do when we have this knowledge but for some reason can't access it with our children. Maybe we're tired, angry, frustrated, stressed, who knows ... What can we do under these circumstances? As parents it is important to remember that firstly we are human. Humans have emotions for a reason. We can never be perfect, nor should we want to be. Our apparent imperfections create our uniqueness. Under these circumstances when love and kindness are impossible, the advice I always give to people is that if it is hard today … remember that there is always tomorrow, a new day is presented to us a fresh day to instill kindness and love again. Shame and guilt serve no purpose other than to make us feel bad and these keep us in the space undesirable behaviors and fears. The more time you spend in the space of love and kindness the easier these spaces are to fall back into. It is like a snowball effect. Over time you begin to spend less and less time within the space of anger, tiredness and stress the more that you practice love. What is the most important thing, you've learned about yourself and your children since becoming a parent? That I have more love available to me in any moment than I was previously able to even imagine. My imperfections make up all of me and my imperfections create a stepping-stone for me to be courageous, to learn to transcend fear. Is it possible to transform that insight into some parenting advice or parenting tools? What would it be? Love is always enough. Not the romantic love, that seems to be shadowed by perceptions and falsifications but by the authentic love, that requires you to connect at a soul level … that requires you to access the hidden wells of talents that enable you to connect at a conscious level and to love without conditions. It is the same as my everyday motto. This marks the end of my parenting interview with Kylie Riordan. I really hope you enjoyed her wisdom along with her parenting tools of loving without limits.